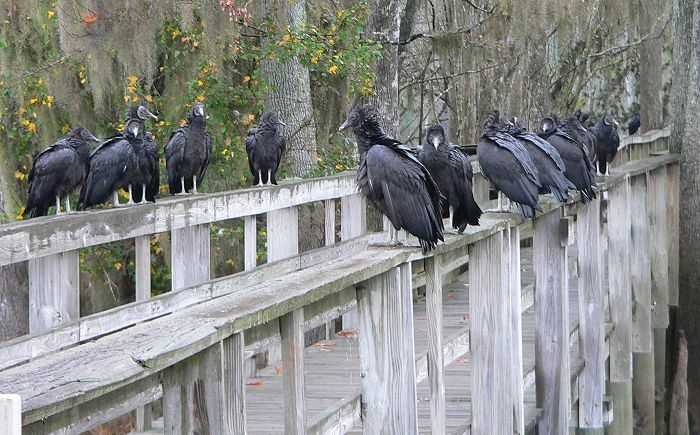 Our next stop was Manatee Springs State Park in Florida. 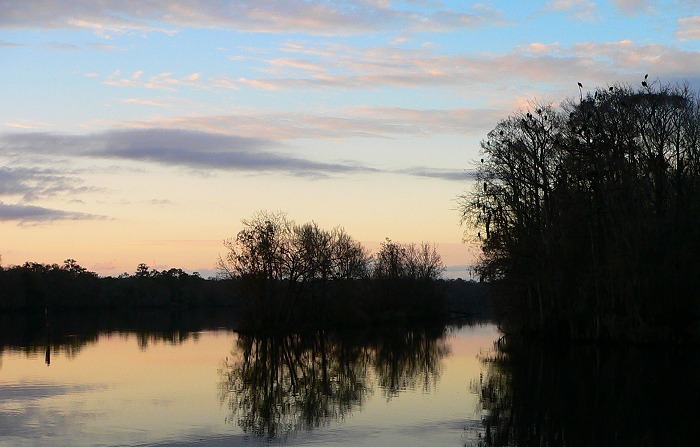 The Suwannee River starts in Georgia, in the Okefenokee Swamp, then flows southwest through northern Florida and empties into the Gulf. About 20 miles from its mouth, a huge natural spring empties into the river. 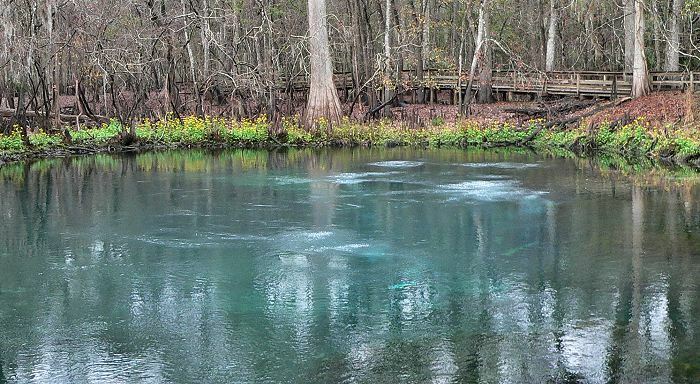 It’s called Manatee Springs because the water is 72 degrees year round, and the manatees like to hang out in that warm water during the winter. We didn’t see any manatees, but we did see lot of other wildlife. The spring is very deep and clear. We could see the bubbles from some divers as we walked up to it, and when they emerged, it turned out that there were seven divers at the same time – so it’s a large spring. The woods near the spring is very wet and swampy. 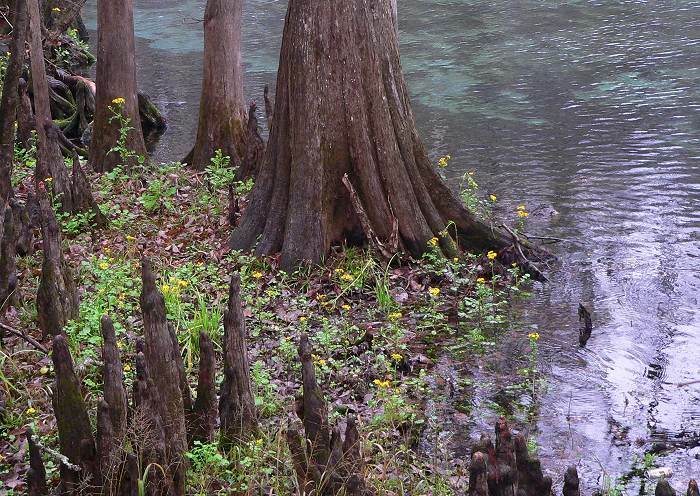 The trees are mostly cypress – the things sticking up are cypress “knees” – actually woody structures that grow up from the roots. The yellow flowers are a species of ragwort called Butterweed (Packera glabella). There’s a boardwalk out to where the spring empties into the river. 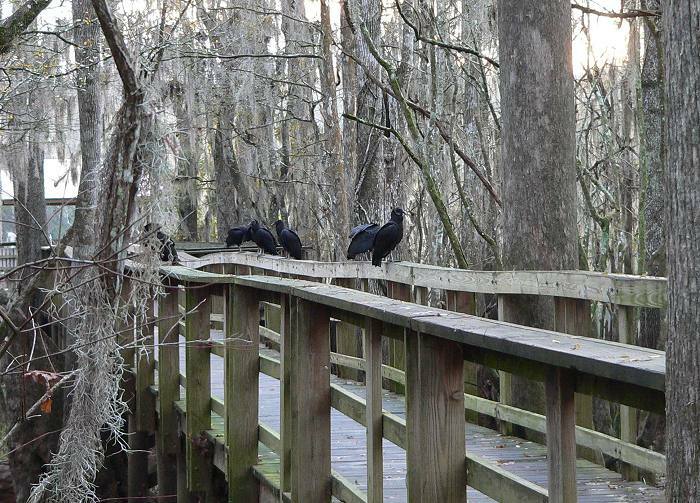 There were Turkey Vultures and Black Vultures swirling around in the sky, roosting in the trees and sitting on the railings of the boardwalk. 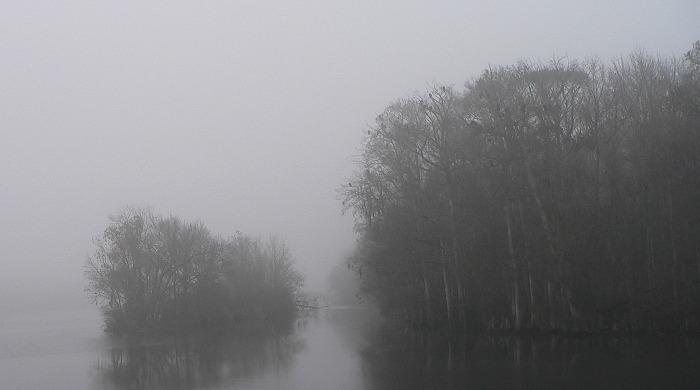 I walked out on the boardwalk again the next morning, and the river was shrouded in mist. 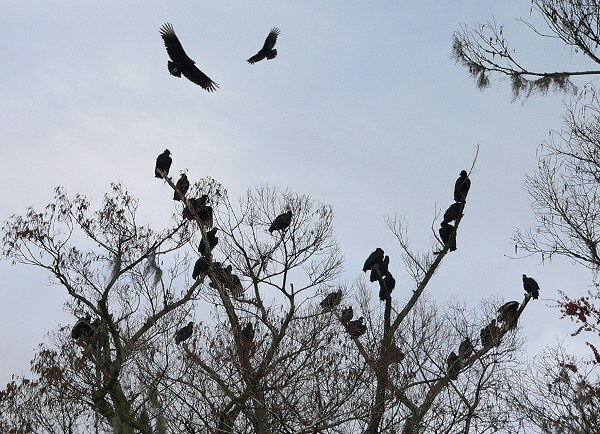 But the vultures were still there.